Reward programs have become the mainstay over the past 10 years. Most industries have adjusted to do just that — reward customers for their business. But online apartment listing services have been slow to adapt. ApartmentEdge.com has become one of only a small number of listing services shifting towards reward-based renting. The company now offers prospective tenants from $200 to half a months rent for sourcing their next home through their site. 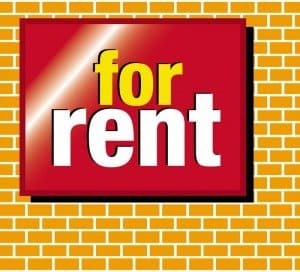 In order to fill vacancies, many landlords listing on the vast majority of online apartment listing services which do not reward tenants. Many metropolitan cities have numerous apartment locator services whereby the service will drive tenants around and show them apartments and will collect a full rental months fee to fill the vacancy as a commission. However these locator services do not share these fees with the tenant who uses their service. Currently Rent.com offers a $100 reward card for sourcing your next apartment through their website and act as the only rental website offering a cash reward. There are dozens of other apartment rental websites, but none of them offer rewards for tenants. The entry of ApartmentEdge.com as a new market competitor offering significant cash rewards to tenants who use their website seems to be signaling a shift in the industry. As tenants become more savvy, so do their choices when choosing an apartment. Moving to a new apartment is an expensive endeavor, and there is no time where a reward can be more useful than when choosing a new apartment. Along with rewarding the tenant, this site also has an entirely different invoicing structure as they only charge the property upon a signed lease, which is a fundamental shift from the subscription (monthly) model that dominates the industry. With billing only upon delivery of a signed tenant along with a tenant reward based model, ApartmentEdge.com has found an interesting niche and hook which has not been exploited on the web, which is rare. Time will tell whether this significant shift will fully take root in the apartment rental industry.